Mr. Birk is an Austrian born multimedia artist, explorer and organizer. He was educated in Austria and the U.K. A former journalist for Austrian and German media outlets, Mr. Birk has worked as news correspondent and photographer in his late teens and early twenties. He studied art at LCMM in London, where he completed a BA in digital arts and photography. Mr. Birk has travelled extensively in the last 10 years with a focus on East Asia and the Middle East. In 2007 he set up a base in Beijing where he co-founded the Austro Sino Arts Program, an artist run, not-for-profit, proactive organization promoting Austrian art in China. His first major publication, Kafkanistan, was released in 2008, which is about tourism in conflict zones with a focus on Afghanistan. 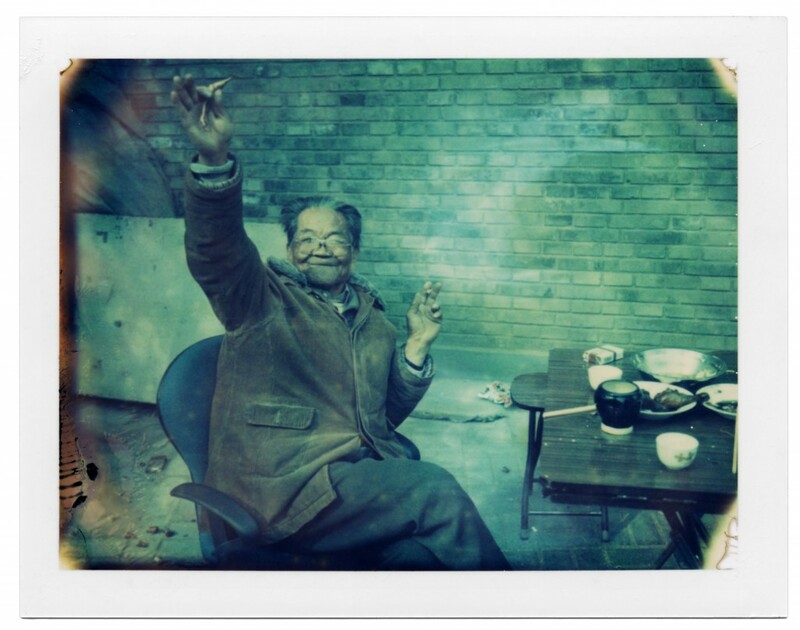 Mr. Birk sat down with Reza Akhlaghi to discuss Polaroids from the Middle Kingdom.He also shared some of the images from his book. What was your main motivation for taking these images using your father’s Polaroid films? I was trying to find a narrative for the changes I witnessed in China and especially Beijing. It was an attempt to capture the feelings I had while living in an environment that was under constant flux. Especially the years around the Olympic games were what seemed to me very fast in grove and the general atmosphere was very eager to make anything happen at the fasted possible time. After about a year of living in Beijing I started to feel nostalgic for some of the things I came to love like old streets, coffee places, or quarters of the city. This nostalgia derived from knowing that this might all change very quickly. Once I did not recognize a street after not having walked in it for three months as the authorities planted hundreds of trees along the road. This of course was a very positive change. 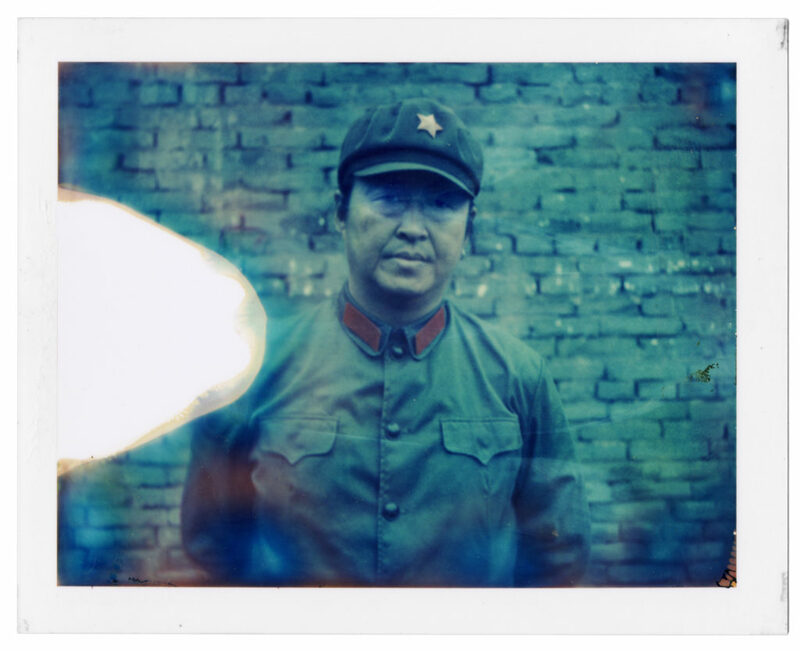 The expired Polaroid material allowed me to express exactly the feelings I had towards many of my encounters in China. I took photographs that looked like they were from another time yet I was standing right in front of what was in the photo. The images had an instant-nostalgia. What is Katherine Don’s role in and contribution to the book? Is she your business partner? Katherine has been a friend for many years. We met in Beijing, where she was working as a freelance art consultant, writer and founder of Red Box Studio, an art and design studio promoting Chinese contemporary Art. She was very supportive of the project from day one and had given many inputs during the process. She had experienced the same period of time living in Beijing and could personally relate to the images and the emotions conveyed in them. When it came to writing a foreword for the book, it was pretty clear to me that it had to be her. How long did it take you to take the images in this book? What year did you start taking the Polaroid images? I started in 2008 and spent about two and a half years to complete the series. I took my time with it as there was no pressure. Though I realized that by the time I exposed the last couple of films the material was almost unusable. This long period of time for a rather small amount of film I had available gave me clear focus of what I would need to capture in order to create the right kind of spectrum for this emotional narrative. I only had about 200 exposures available. What parts of China did you travel to take these images? Beijing, Shanghai, Xian, Pingyao, Guangzhou, Shenzhen, Dsingdao, Guilin and many small cities in between. What is your key take-aways from this experience? I learned a lot in my years in China and had a fantastic time with great friendships and invaluable experiences. The dimensions one deals with in China are mind numbing at times especially compared to where I grew up in Austria. I always calculated quantities in China. An endless hobby to make up numbers like how many litters of tea were drunk, how many times have the words like NiHao been spoken, how many pigs were slaughtered, or how many babies were born on a daily basis. 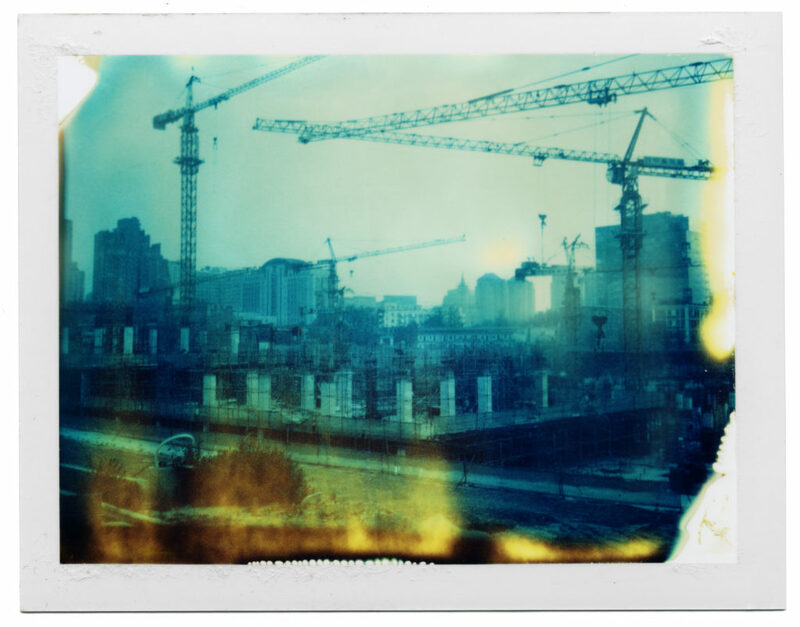 Through the process of creating Polaroids from the Middle Kingdom I realized the clear differences between the Western inclination of hanging on to things. Nostalgia and melancholy are not the same in China; it is something deeply rooted in the West. Where do you see the Chinese society going in the next five years or so? One of the most impressive things in my first years of living in China was to hear stories of friends in their 30s who grew up without proper running water and no bathroom in the house and now they work internationally, speak three languages and buy apartments for their parents. The personal development some of my friends embody is sheer impressive and their achievements make me feel ashamed. What direction this society is going I cannot say of course. Many of my Chinese friends are rather pessimistic about the future. I can say that; it is hard to find people who are so eager to move forward. It makes Europe look like donkeys next to a racing horse at times.